We are dedicated to bringing about a sense of community through music. 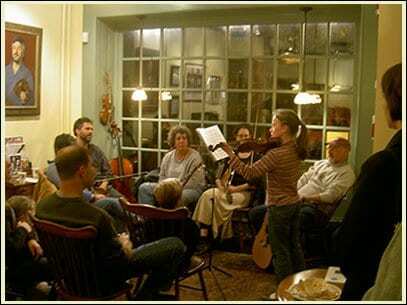 To get the latest invites, “friend” Mount Airy Violins on Facebook ! Mount Airy Violins & Bows to Donate 5% of Holiday Sales to LiveConnections! LiveConnections brings musicians in to underfunded Philadelphia schools for workshops and concerts. They approach live music as an essential social and educational experience that helps create engaged and well-rounded global citizens. Together we hope to make a difference by helping to create a more musical world. 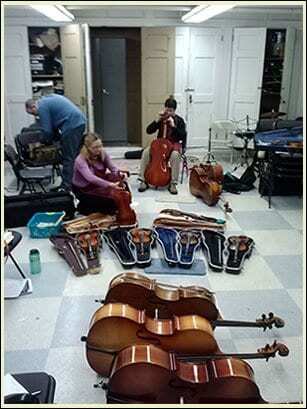 Realizing the great need for proper care for instruments in our public schools we’ve reached out to Masterman School. Our staff spent the morning at Masterman doing triage: replacing strings, righting bridges and un-sticking pegs. We help out Creative And Performing Arts High School by re-hairing their way overdue stock of bows, for near cost.